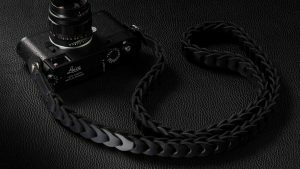 MANY USERS OF THE ROCK n ROLL STRAP ASKED FOR A SIMILAR STRAP BUT WITH THE SUPERB LEATHER OF THE ROCK n ROLL WE MAKE FOR THE LEICA SL. 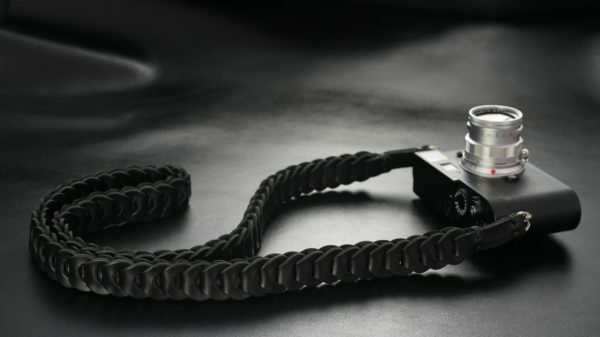 Exactly like the Rock n Roll but with the leather we use for the Leica SL strap and black stitches of waxed thread. The strap, because of its structure , works as a shock absorber . Most of our clients underline that! Even on heavy camera – lens combinations. : “The wide width supports the weight of heavy prime lenses extremely well, and its stylish weave adds elasticity. Made of premium soft leather, it is soft and cushioning around the neck. Super! Super product! 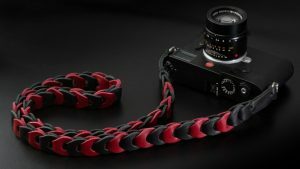 Can't recommend it enough!” says Avi G.
Jonathan P. says for the Rock n Roll SL wich is, similar but with endings to fit the Leica SL Lugs: Most comfortable strap ever! Distributes the weight of a heavy camera for maximum comfort. Soft leather loops conform to neck and shoulder, don't slip and don't abrade. Always get compliments on the RnR strap. . . Now have one for each of my cameras! 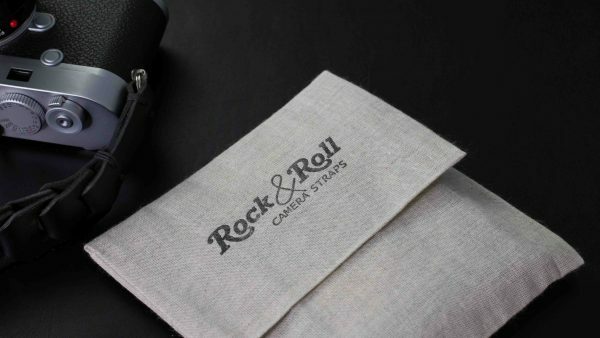 All types of Rock n Roll straps come in two sizes 100cm and 125cm. We can also custom make the length of your strap. 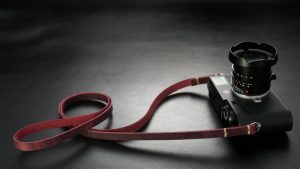 Rock n Roll strap' s unique style, makes it a perfect pair for a Leica M! Perfect also for the Leica Q, Sony A7 , the Fujis, other mirror less cameras and DSLRs. 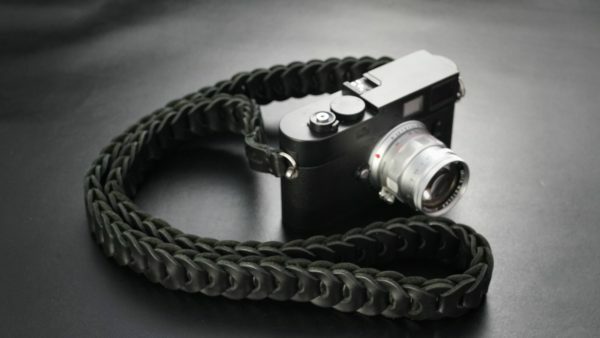 If you are ordering for a Fuji camera please tell us , as we have to put other split rings on the strap. Absolutely beautiful strap. Goes nicely with my camera. Excellent customer service! Very fast reply and very helpful. Best strap ever! Fastest shipping! Great communication! 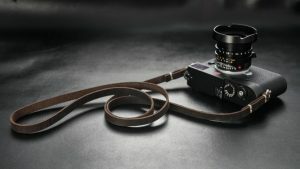 I`m using this strap with my Leica CL + 35mm (KB 50mm) and it does what it does. Despite of being quite large, I love this one. 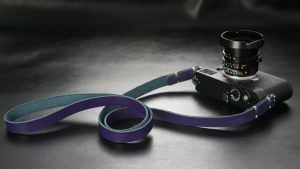 I love the design of this strap, the color, as well as the thick and heavy leather. It gives me the feeling that my device is hold securely at any time. My camera feels light because the construction that tends to be shock absorbing. I get used to the large size and the heavy stuff, and now I love it even more. 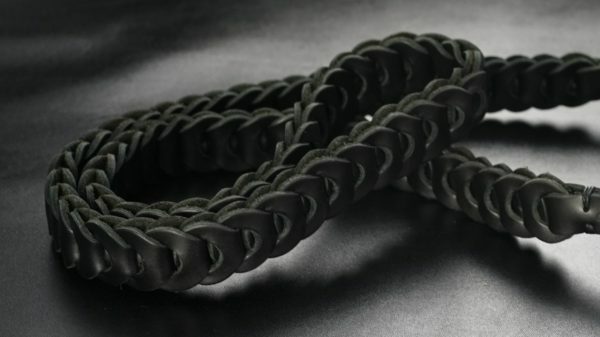 This is a brilliant strap and looks fabulous, but it also has the clever ability to stretch slightly and absorb shock. It very happily holds and cushions a Fuji X-T2 with their biggest and heaviest zoom lens and is comfortable all day. Neoprene might do this job too, but it will never look as good as a Rock n Roll strap!